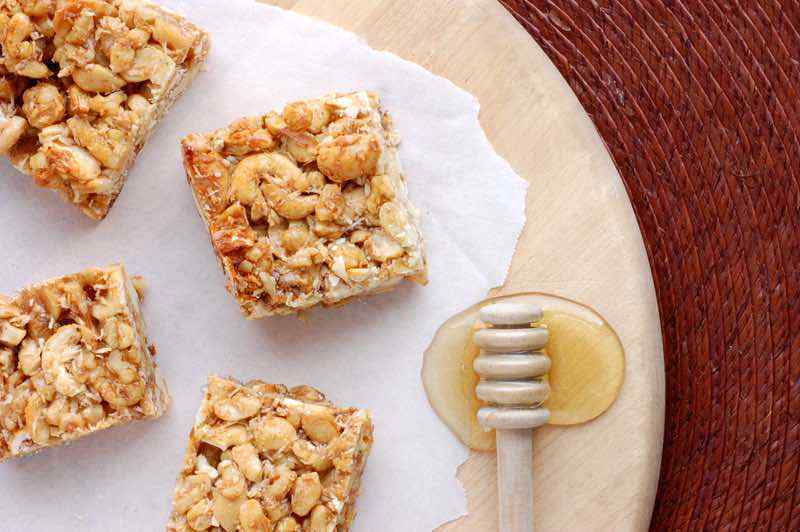 These crunchy honey nut paleo breakfast bars are almost too good to be true. 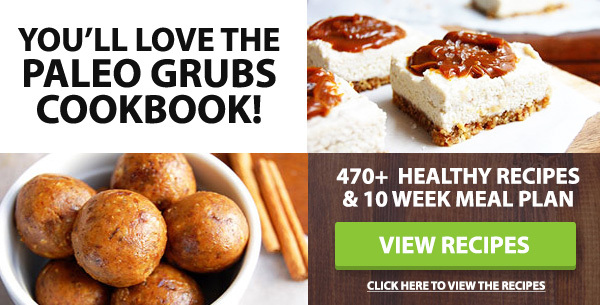 This recipe is entirely Paleo-friendly and can almost seem like more of a dessert than a breakfast, but they are super healthy and packed with energy. The bars also make a great packable snack for lunch boxes or car rides, though you may have to lick your fingers clean from the (delicious) sweet and salty stickiness. 1. Preheat the oven to 350 degrees F. Line an 8×8 baking pan with parchment paper. Combine all of the ingredients except the honey in a large bowl. Stir until combined. Slowly drizzle in the honey and mix to coat. 2. Transfer the nut mixture to the baking dish and spread into an even layer. Bake for 20 minutes. Remove to a wire rack to cool for 30 minutes. Remove from the pan and flip over. Cool completely before cutting into bars. Keep refrigerated. 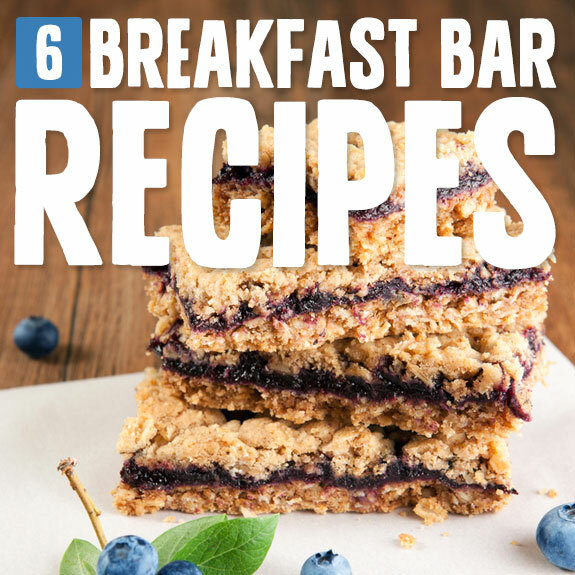 This incredibly healthy breakfast bar recipe offers sweetness and superfoods all in one bite! 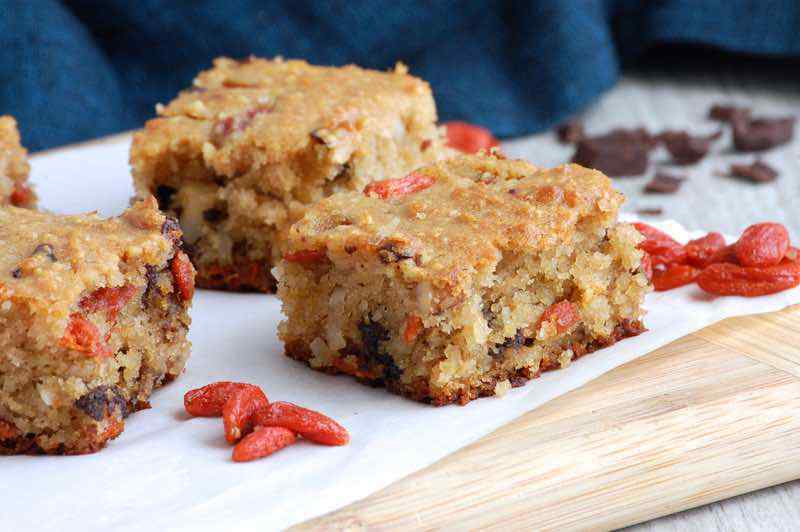 Goji berries are mixed into the bars for an extra burst of nutrition. 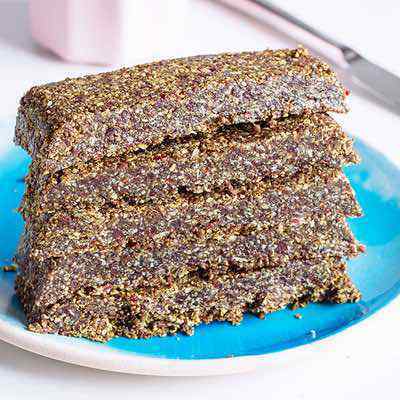 Dark chocolate, walnuts, and coconut flakes also add flavor and texture to the sweet bars. You can sprinkle additional chocolate or coconut flakes on top of the bars before baking if desired. 1. Preheat the oven to 350 degrees F. Line an 8×8-inch baking pan with parchment paper. Place the Goji berries in a bowl and add one cup of boiling water. Let sit for 10 minutes to plump. Drain and set aside. 2. In a medium bowl, sift together the almond flour, baking soda, and salt. In a separate bowl, whisk together the eggs, coconut oil, honey, and vanilla. Add the wet ingredients into the dry. Fold in the Goji berries, chocolate, walnuts, and coconut flakes. 3. Transfer the batter to the baking pan. Bake for 15-20 minutes, or until a toothpick inserted into the center comes out clean. Let cool for 5 minutes before serving. 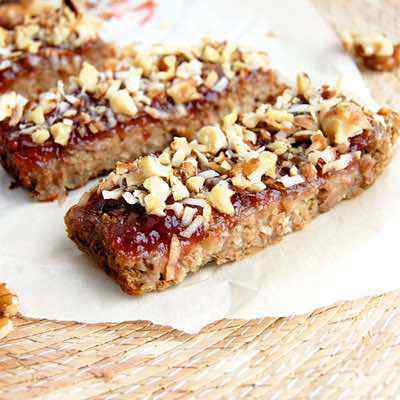 You’ll get lost in the flavor of coconut and banana in these breakfast bars, with cashews giving them a nutty and buttery flavor. With an ingredients list that you can count on one hand, there isn’t anything in these bars to cause you any grief while you’re eating them, or afterward. The wonderful thing about being on the Paleo diet is that you don’t have to argue with yourself over what you’re eating. There’s no reason to beat yourself up over a food, and therefore you’re in a much better place mentally which really helps to stay on it long term. 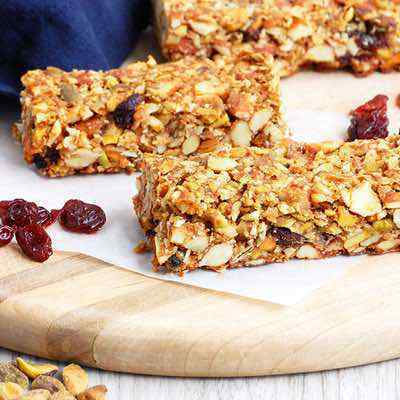 These strawberry nut bars provide the perfect breakfast flavor and will be something that you look forward to having in the morning. Sometimes you just need to have a go-to breakfast in place so that you can wake up in the morning and not have to think about anything. This is especially true if you’re trying to give up coffee while on Paleo and are having a rough time getting used to caffeine-free mornings. When you have a batch of bars already made up it’s as easy as reaching for one and starting to munch.